Formed in April of 2005 by rhythm guitarist David E. Gehlke, Crown the Lost is lauded as "musically accomplished and eminently memorable" and "one of thrash metal's outstanding new groups," and has since steadily built a devoted following through relentless promotion and word of mouth. 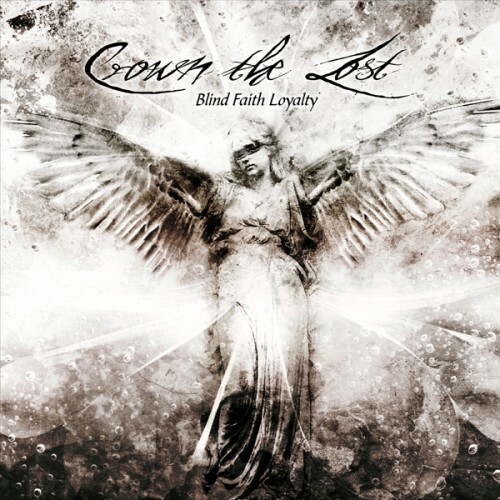 Recorded over the span of five months with producer/engineer Dave Watson, Blind Faith Loyalty captures Crown the Lost at its most inspired and expansive. Led by singer C. Renaldi's soaring clean vocal approach and lead guitarist J. Bonaddio's fluid lead guitar lines, the album's 10 songs traverse down paths ranging from fierce, aggressive numbers ("Defame the Hypocrite," "Drawing the Parallel") to catchy, song-oriented tunes ("Bound to Wrath," "Dreaming In Reverse") all the way to towering, multi-faceted thrash metal workouts ("Finality," "Symbiotic"). "Blind Faith Loyalty" sees Crown the Lost expand upon its melodic thrash metal template, adding new, exotic layers of extremity, grace, and technicality. 7 x 4,50 cm magnet. Make yours a METAL fridge! ..